This article appeared in Business India, August 13-26, 2018. So, the original question requires disruptive thinking. It is not a matter of improving the Quality of pot holes. It is a matter of finding innovative uses for them. I guess I have deviously made my point. Pot holes are a chronic problem on Mumbai roads. The population of pot holes is growing. While some are getting mature with time, others are in their infancy. In my view, a pot hole is a vital symptom, of a much larger road transportation problem. Just repairing a pot hole is a case of fire-fighting; not fire-prevention. Sadly, and erroneously, we blame the worker. In order to solve the chronic problem of pot holes, we need to find the root cause. One hypothesis is the capability of the contractor. Yet another, is the process of outsourcing work to contractors. A third could be the culture we have endured. And so on. To test these hypotheses, one would need data, information and knowledge. It should be a collaborative exercise of citizens across the length and breadth of Mumbai. I am sure we can find solutions to the first hypothesis. We have the capability to build world-class airports in India. This includes the effective roads enveloping the airports. In regard to the second hypothesis, we have a solution in a Quality Fable. The fable is inspired by R C Bhargava, the then Managing Director, Maruti Suzuki. What do you purchase from vendors? The following Quality Fable may help you articulate your answer. I was invited to speak at an Annual Vendors Meeting of a car manufacturer in North India, a couple of decades back. Very excited at the prospect of learning from Japanese leaders about the state-of-the-art methods for quality management, I readily accepted the invitation. The meeting was held at The Taj Palace, New Delhi, in the largest conference room available. Horse shoe seating was provided for the top 100 vendors. Seated in the front, facing the vendors, were the Managing Director of this car manufacturer, two Japanese leaders, a consultant from the Juran Institute, and me. OMG! Did I hear it right? Must be a mistake! What you really mean is an increase in price by 3%. These were the thoughts racing through each of the 100 vendors’ minds. OMG! Can this be true? Thereafter the Japanese leaders explained the concept of chronic waste in cross-functional processes. Waste that is even budgeted for by top management!! Next, the consultant from the Juran Institute explained the underlying concepts of COPQ. Oh yes, on my part, I shared the experiences of my clients from the automotive sector with the ‘Juran on Quality Improvement’ methodology. I am sure you have by now guessed the answer to the opening question. It’s Process Capability. » Purchase department must conduct itself as a world-class customer. The third hypothesis has a solution in a Quality Fable built around the Johnson & Johnson credo. For the past 18 years, during the monsoons in Mumbai, the Indian Merchants’ Chamber hosts several Examiner Training batches for the Ramkrishna Bajaj National Quality Award. The sessions on Leadership, as well as Customer Focus, are the ones I enjoy conducting. Participants love stories. One of my favorite stories is the one on Why Principle Centered Companies Excel? This is a story I repeatedly heard from Frank Tedesco, Vice President at the Juran Institute, in the early 1990s. During that stage of my Quality journey, I did not fully understand the depth of his story. Only after I started repeating it, again and again, did I discover the enormous treasure of wisdom. Johnson & Johnson is not a philanthropic organization. Its corporate credo also declares the obvious: Business must make a sound profit. However, the company also pledges that profit must not eclipse its other priorities. In 1982, the Johnson & Johnson credo was put to the test. This is the well-known disaster case of Tylenol. Eight people died from ingesting cyanide-laced Tylenol capsules. The Johnson & Johnson Board of Directors immediately recalled all 31 million bottles of Tylenol from the shelves of stores, even before the root cause could be established. The company also promptly redesigned the Tylenol containers and introduced tamper proof packaging. Even though Johnson & Johnson turned out to be blameless, the crisis ended up costing the company $240 million and eroded its profit significantly. But its decisive action saved the Tylenol brand and generated a wave of goodwill amongst its customers. » Reputation is the guardian of a brand. In conclusion, we can do it. In fact, the Cost Of Poor Quality (COPQ) of any organization is at least one-third the total cost. Where chronic problems persist, it is much more. If we solve the pot holes problem, the tax burden for Mumbai citizens can reduce, as a logical by-product. It is time for Mumbai First to boldly express the Voice Of Citizens (VOC). Citizens are customers. Building a “trustworthy’’ reputation demands principle-centered values. A tolerant attitude of the reverse leads to failure / accident prone outputs. Citizens are human; and human life is precious. On the other hand, if we are content with pot holes on Mumbai roads, we should find innovative uses for these amoebic works of art: grow trees; build fish ponds; offer boat rides; swimming pools for children; supplement water supply; and more. So true! Unless wastage of time, labour, materials, etc etc are not reduced pot holes all over India (not just Mumbai) are here to stay! Japs have lots to give and us Indians plenty to learn. But, are there any takers? On a lighter note…. May be we should take Mr.Lulla’s second suggestion seriously – convert them pot holes to amusement arenas! The root cause is our purchasing practices. Thank you Mr Lulla for focusing attention on a perennial problem in Mumbai. However, I must contend that Mumbaikars love “potholes” and we should find innovative ways to use them! About solving the problem of potholes, well we need to begin by hating potholes then we will start thinking of ways to eliminate them. As always, loved the two fables and the lessons they convey! Thank you Ashok. I hope you read the Quality Fables at multiple levels. Culture in an organisation decides everything. And it starts from the top and moves down vertically. Potholes are a manifestation of our broken down way of working and reflects the rot from the top. Our habits define our culture. These habits are a reflection of the habits of leaders. Culture changes with a change in leadership. You are abolutely right. But all ends at a lament. Fancy shaped potholes all over the country have also been bugging me. But no one has experimented with finding the right solution for repairing. Equipment! Mix! Procedures! Right problem for Road Research Institute or one of the IITs. I do believe we have the capability to build robust roads – such as those embracing our international airports. The root cause is our greedy purchasing practices. These practices are the national hatchery for COPQ. So glad you appreciated the article. We need a national movement addressing COPQ in every department. Love your title for the article- a REAL problem which most media mention, leaving it at that….and here you have like a true Quality Guru delved deep into the root causes and come up with insightful solutions. The downside is the agony/ injuries caused to the citizens and in extreme cases death too. The financial capital of India needs Best Brains like yours to come together for permanent solutions. I agree. Citizens are customers. Congratulations Sir. Very apt. Critical input in a critical situation.Of our very own Mumbai. Suresh has bought his experience to great purpose for Mumbai. His advice is sagacious and comes from years of problem solving. Wish Mumbai listens and implements . Mumbai needs solutions like these and now! I wish Mumbai First starts a revolution! 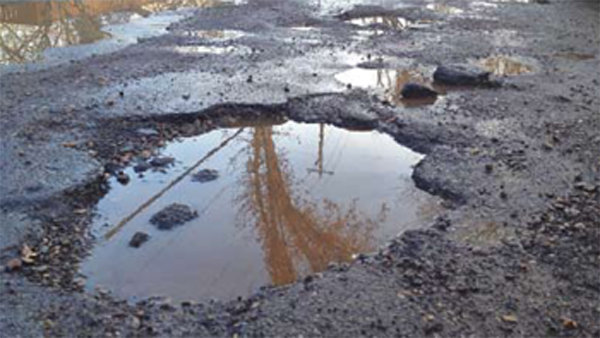 Regarding potholes – We need more ideas on how we can apply these concepts, as currently the poor quality has some wins to the vendors and we need to do something which can outweigh the current win levels. Also just like with any other government related tasks, we need influence – influence , to embed COPQ & quality culture in our governance model. Thanks, it was a good read !! Thank you for the appreciation as well as wish list! COPQ and it’s impact is well conveyed. Citizen as customers!!! Customer first! VOC!! Great insight Sir !!! It is always a pleasure to read your words sir. May our society learn concept of COPQ and live a better life. Rituraj, please pull the COPQ alarm in your circle of influence. Ur a genius…love your writing skills. Thanks Anuj for your generous comments!!! Very Good. It shows how both problem solving and innovation techniques can be used around a problem such as Mumbai Path holes. Bulls eye Sachin. The knowhow is in India. It is not rocket science! Interesting take on the chronic state of disrepair of the roads in Mumbai, dear Suresh. Thank you. Thanks Bharat for your kind words.